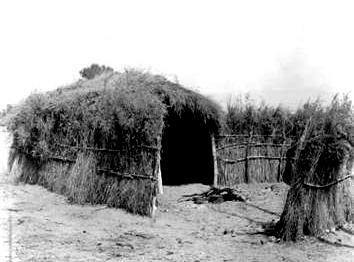 A Kiich House was the name of a structure that was used as a winter shelter or house style by the Yuma and Serrano tribes of the California cultural group. It was usually built in a rectangular shape. The Kiich had a framework of poles that were covered with in brush or woven mats and lashed together with yucca fiber. Learn about the structure and the interior of the Kiich House and how they were built with pictures and images.